Looking to add a stylish and classy touch to your home? 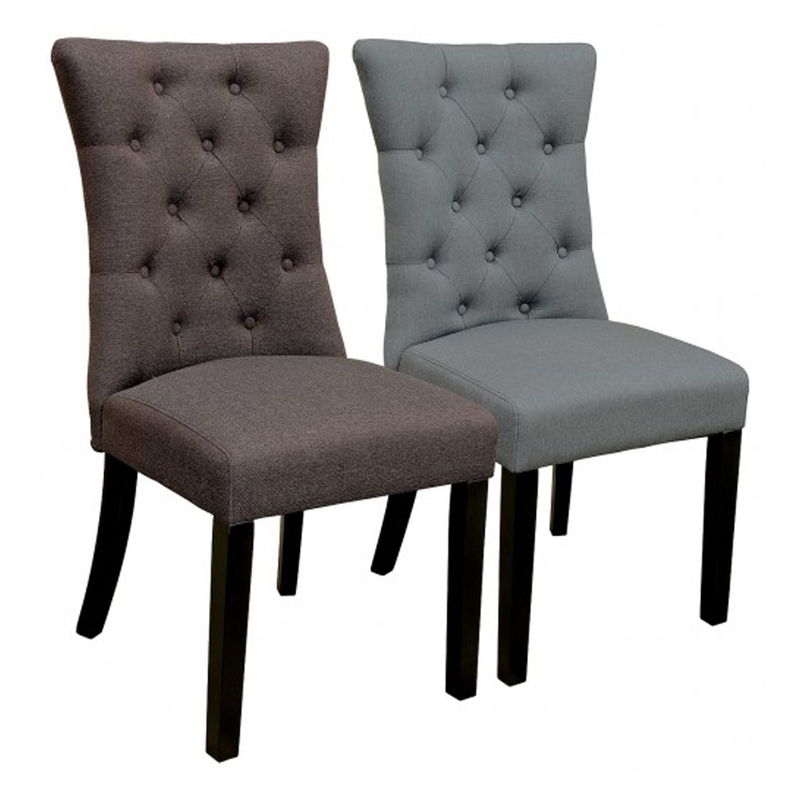 Introducing the newest addition to our collection of dining chairs, this beautiful Sanderson Dining Chair which is available in either Grey Or Brown. With a complete fabric covered chair that also has a buttoned design the base of the chair is made from dark wooden legs giving it a simple yet modern look.